All functions are working. I will provide courteous and responsive service from Kyoto, its the oldest city in Japan. Free of haze, fungus, separation, or scratch. I will look for it for you. This lens is clean. There is thin fog on the edge of the front of the lens. (No impact when taking a photo). It has no small scratch. Made in Japan. EX minor wear. EX light wear. EX normal wear. repair / part REPAIR or PART. WORKING PROPERLY. FLASH SYNC. GW good working. There is thin fungus on inside of the lens. (No impact when taking a photo). There is no fog on inside of the lens. This lens is clean. Appearance of the item. Made in Japan. Manufacturer original box(There are deterioration and dirt.). ◆Appearance. All functions are working. It has slight haze but it does not affect image quality. I will look for it for you. It looks great for its age. With a few slight marks/scars and rubs from normal use. This lens is very clean. There is no fog on inside of the lens. This lens is clean. It has no tiny fungus. Made in Japan. All functions are working. ◆Appearance. I will provide courteous and responsive service from Kyoto, its the oldest city in Japan. There are slight haze but it does not affect image quality. Free of fungus, separation, or scratch. All functions are working. ◆Appearance. I will provide courteous and responsive service from Kyoto, i ts the oldest city in Japan. I will look for it for you. It looks great for its age. With a few slight marks/scars and rubs from normal use. 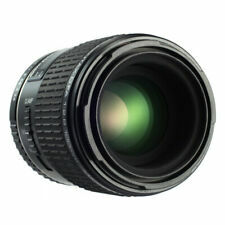 Nikkor 28-300mm F3.5-5.6 Lens G ED VR. Dust : A few inside lens. Sold As Is, It has fungus and Haze on middle. Included : Filter / Rear Cap / Case. Fog : Much On middle. This lens is very clean. There is very tiny thin coating peeling on rear of the lens. (No impact when taking a photo). There is no fog on inside of the lens. This lens is clean. Made in Japan. Won't affect the core functionality of the lens still looks beautiful when looked through a lens. There are dot-like dirt inside the lens. (No impact when taking a photo). There is a thin fog on the lens. (Special photography of a backlight etc. may be affected.). This lens is clean. It has no small scratch. D FA MACRO 100mm F2.8 WR. CONDTION :EXCELLENT. We can find it! We have various suppliers. I provide courteous and responsive service. It is quick and polite correspondence that we prize. Another countories. Appearance of the item. So don't worry about the condition. (A photograph does not have influence). No noticeable scratches on the lens. Inside the lens, there is a few haze due to balsam separation. Lens Body has minor scuff marks in place, and the rubber of Focusing ring is discolored to white a little. Accessories:Lens Hood (has scuff marks), F/R Cap. It is no effect on your picture quality. Front cap, Rear cap and Lens filter. tiny scuffs from normal use. Lens is fully working and in excellent condition with light signs of use. It works properly. Used Excellent-. As shown in the pictures. Appearance of the body. May impact when taking pictures under the strong light. Inside the lens fogs slightly, it is not effect for normal photographing, however there is possibility to see when taking back-lit photo. It is no effect on your picture quality. AB Excellent. Compared with "AB", there is only a few scratch and/or removing the paint. Lens Rear Cap. Lens w/Hood #S001e. 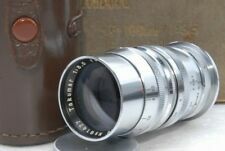 This lens has few defect which affects images. I will do my best to solve the problem with you. Everything is shown on the pictures. Note(Important). Works Properly. MINT Pre-owned, like New. Near Mint Minimal signs of use. As-Is Restoration required, part may be broken or missing. tiny scuffs from normal use. Doing that is against U.S. and International laws. [Near Mint!]. · Very few tiny dust on inside lens. · There is a coating pain on the front lens. · Lens Cap (Front ,Rear). · Excellent (minimal signs of use). · Excellent (many signs of use). No noticeable scratches on the lens. No fungus or haze inside the lens. No balsam separation inside the lens. Excellent . Optical system. Excellent . No balsam separation inside the lens. Optical system. This will not affect image quality. The Focusing ring moves well and smoothly. The aperture works great and has no oil on the aperture blades. All functions are working. ◆Appearance. I will provide courteous and responsive service from Kyoto, i ts the oldest city in Japan. I will look for it for you. there are tiny fungus but it does not affect image quality. Tiny scuffs from normal use. It works properly. (No impact when taking a photo.). There is no separation. I send a product by EMS. This lens is clean. There is very very thin fog on front of the lens. (No impact when taking a photo). There is thin balsam separation on the edge of the front of the lens. It has no small scratch. This lens is clean. There is thin fog on inside of the lens. (No impact when taking a photo). It has no tiny fungus. Made in Japan. S/N 5042739 Condition: Good. One (1) M42 rear lens cap. Tiny scuffs from normal use. ■ Appearance. It works properly. ■ Functional. There is no separation. There is no scratches. There is no fungus. There is no fog. Grade: Exc Condition. Exc : Many sign of use, few small scratches or dents. Exc: Heavy used, noticeable scratches or dents. So don't worry about the condition. It is not sticky. No balsam separation inside the lens. This lens is clean. There is thin fog on front of the lens. (Special photography of a backlight etc. may be affected.). It has no tiny fungus. Made in Japan. F/R Lens Cap. Lens Filter. I participate from Japan. So I can provide you the best service. From Japan #180134. It works properly. ■ Functional. No problem in the shooting and image quality. A cleaning tissue for screen and lens. What should I do?. Surface Air Lifted. We carefully check the condition and try to describe accurate information.However, we might miss the exact condition. -Front cap.